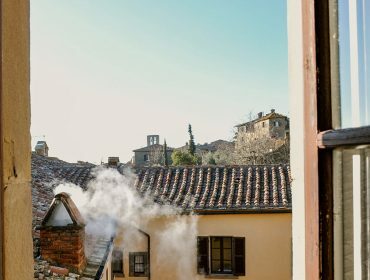 Santa Caterina Holiday House was founded in 1272 and is located in the building where Santa Margherita from Cortona spent thirteen years of her life. As the story goes, she had been abandoned by her family and friends, so she left her town Laviano with her son and came to Cortona, where she was given shelter in the palace of two noblewomen, Marinaria and Raniera. 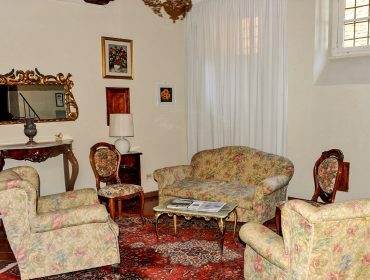 In this old palace, Saint Margherita founded the “Confraternita di Santa Maria della Misericordia” (Confraternity of Saint Mary of Mercy), to look after the poor, the infirm and the Franciscan Sisters of the Poor, who stayed here until 1808, year of the prosecution by Napoleon Bonaparte. 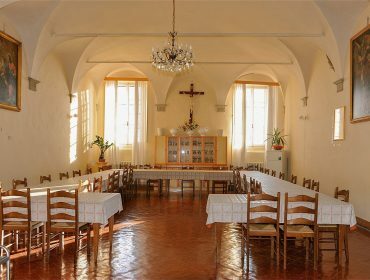 In 1828 the convent was occupied by the Oblate Nuns of Saint Francis de Sales, who opened a school (called “Conservatorio”) for girls belonging to well-off families. 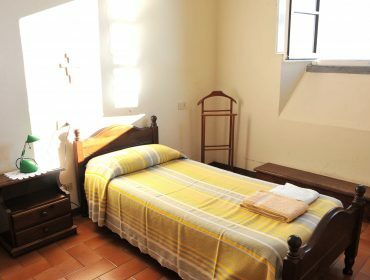 They were replaced in 1917 by the Sisters of the Poor of Saint Catherine from Siena, who are currently running the old monastery that today has renovated in a holiday house. 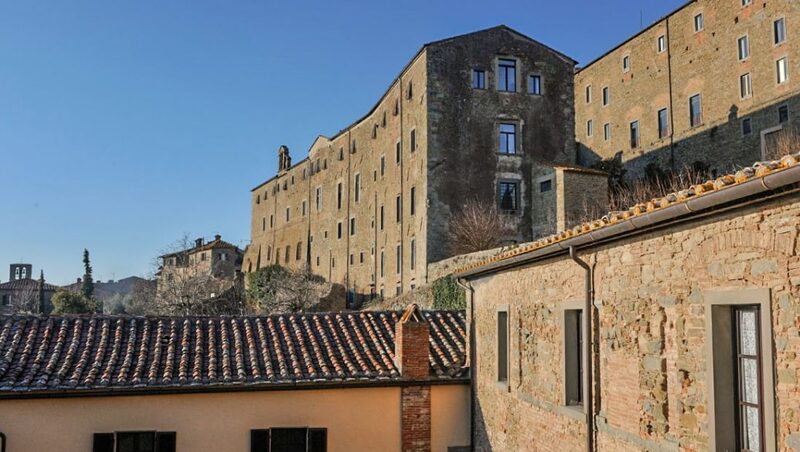 The building is in the historical center of Cortona, at a few steps from the heart of the town. 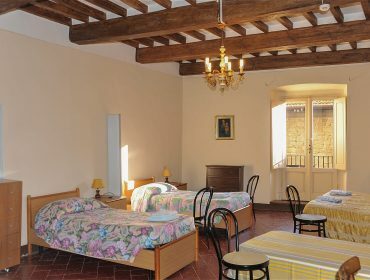 It has more than 20 bedrooms (single, double, triple, and rooms accommodating up to 5 people) to meet the needs of tourists, groups, families and pilgrims. 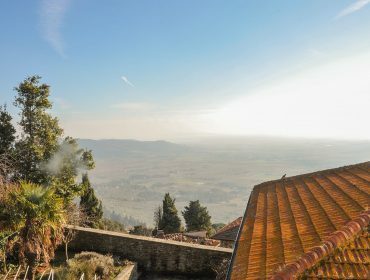 It offers suitable spaces for meditation, relax and praying with a beautiful view onto Valdichiana and Lake Trasimeno. 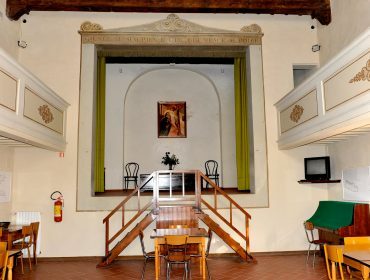 Santa Caterina Holiday House offers a comfortable accommodation with all modern conveniences (elevator, meeting room, hall for 100 people, recreation rooms like a theater of the 19th century) at very low prices. 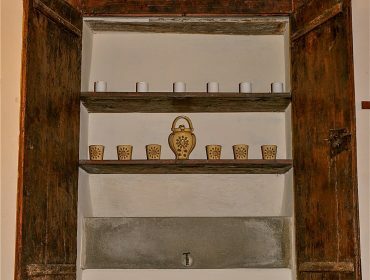 We also provide the traditional cuisine of Cortona for guests only. 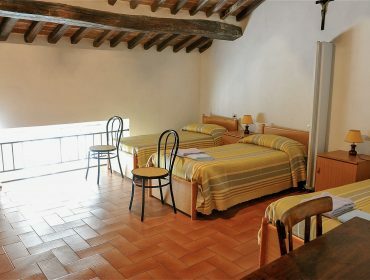 Good prices, starting from 28 € per person for night stay, 4,00 € for breakfast and from 45 € per person (40 € for groups of young people or for pilgrims) for a full board stay.